In fact, Gavin is the current Scottish National as well as British Table Tennis Champion; the former title having been won on a record equalling twelve occasions. He has also played for Scotland in the Commonwealth Games and in 2013 in Dehli won a Bronze Medal. In addition, Gavin has won over twenty British Grand Prix titles and is second only to Welsh Wizard, Ryan Jenkins, in gaining the most titles. 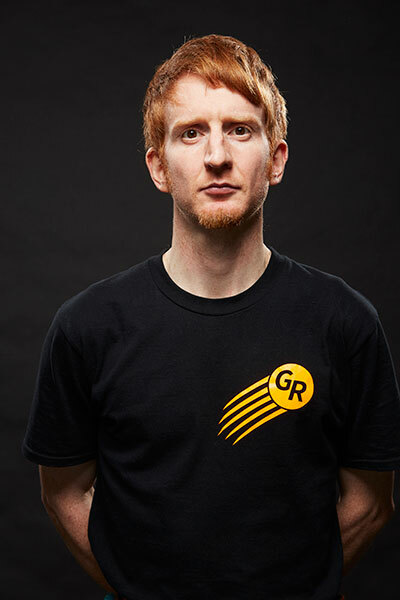 In recent years, as well as playing table tennis on the ITTF World Tour, Gavin has been seen and heard on television, either playing or commentating. He has been an enthusiastic supporter of the World Ping Pong Championships, which are screened on Sky Sports every January from the Alexandra Palace. It won’t surprise you to know that Gavin is world ranked at this version of Table Tennis, too. Back in 2014 Gavin established Gavin Rumgay Racket Sports, as Racket Sports Coaching business, and from that time it has grown into a highly successful international concern. Having proved himself as a top class player, he has now done the same as a multi talented racket sports coach coach.